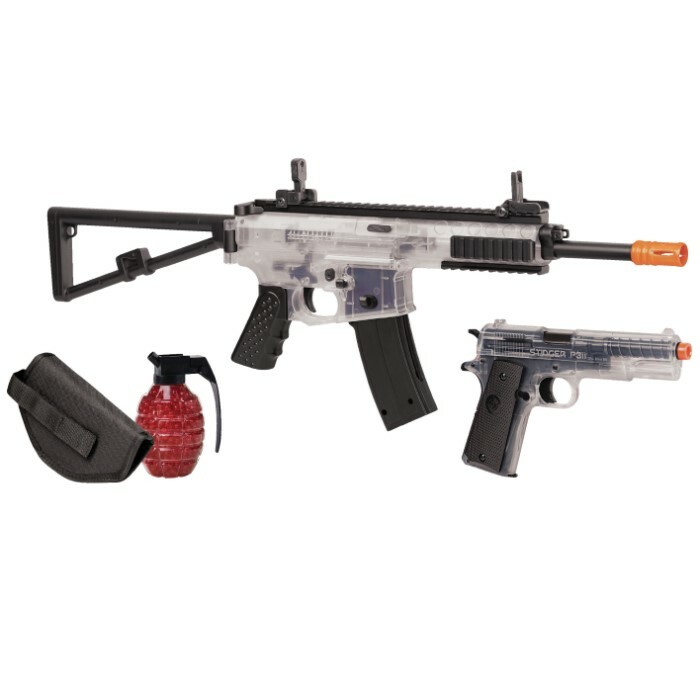 Crosman Elite Commando Air Soft Gun Kit - Includes Rifle, Pistol, Pistol Holster, Grenade-Style Ammo Loader With Ammo - Spring Powered, See-Through And Black Synthetic Construction | BUDK.com - Knives & Swords At The Lowest Prices! 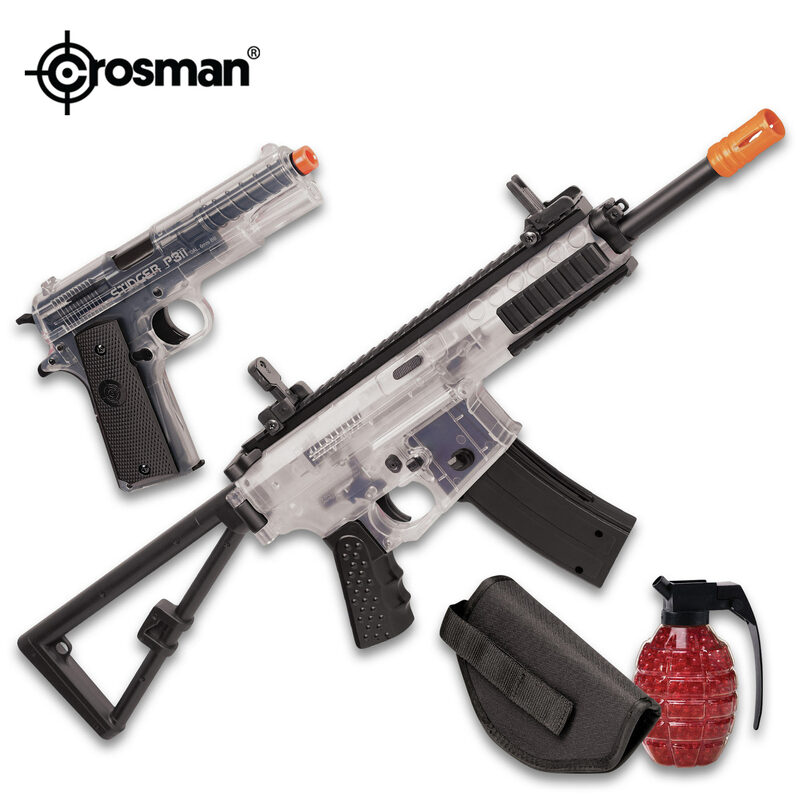 The Crosman Elite Commando Air Soft Gun Kit gives you two awesome shooting experiences, ready right out of the box! 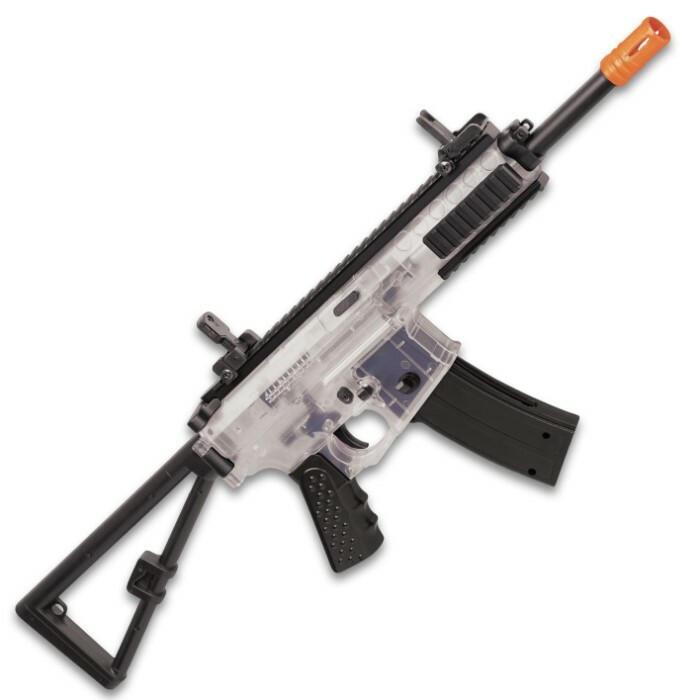 The see-through and black synthetic, spring powered rifle will shoot up to 325 fps and features an adjustable hop-up, collapsible stock, flip-up sights, a lever safety and quadrail mount system. 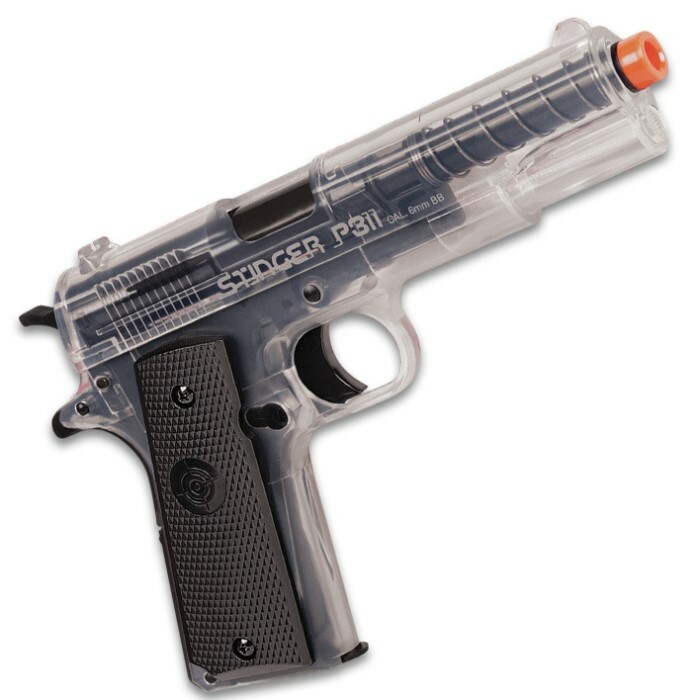 The see-through and black synthetic, spring powered pistol will shoot up to 325 fps and features front and rear fixed sights, a lever safety and a tough nylon holster. 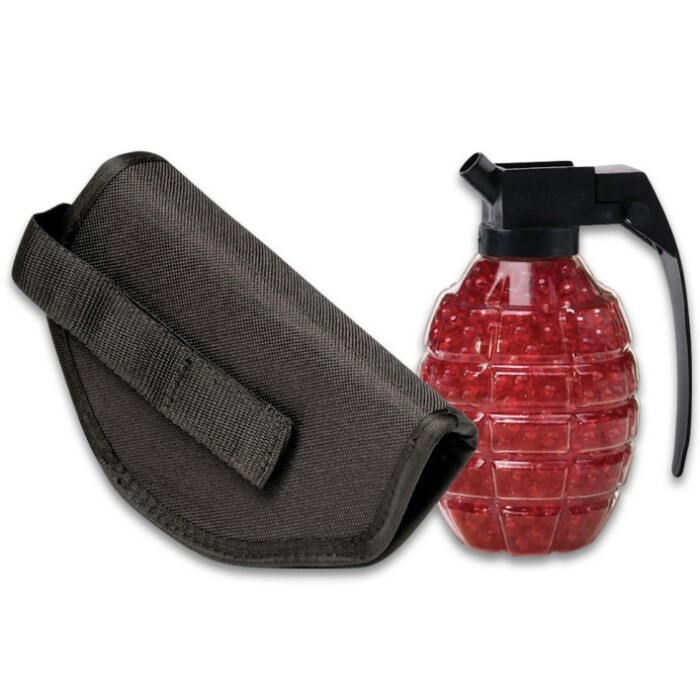 Also included in the kit is a grenade-style loader filled with 800 BBs.